Sometimes writing about the MSSA feels like I’m explaining away the follies of that annoying kid in school who refused to listen. But I’ve been asked by a number of people about the MSSA response and our original report so here are the facts and nothing but the facts. We responded stating that we saw they were removed from the SASCOC website but presumed that it was a technical error and asked them where they heard this. As to not put our informer at risk we won’t paste his full response but the gist of it was that they was informed by a member of the South African government. We immediately requested, at around 12:40 our brand new intern to give SASCOC a call, on the direct line we have, to the department regarding a possible MSSA removal. The person we normally chat to wasn’t available but her office responded that it is true and that the MSSA is currently not affiliated with SASCOC at this time but that she cannot give us more details. We had another staff member phone again for confirmation and were met with the same response. We posted the original story at 12:51 and stated that the story was ongoing and that we would update it. Matthew then called the listed MSSA number to request a comment from their side. Colin Webster answered and while not refusing to comment did ask Matthew to call back in an hour for a response. During this time we were peppered with reasons for the action SASCOC took which ranged from accounting issues with a certain department inside the MSSA, to accusations that the MSSA had made against SASCOC, to a simple documentation issue. Mygaming then picked up on the article and phoned Colin who was willing to give them the following response. However they also received a response from the CEO of SASCOC, Tubby Reddy who stated that the suspension was in fact correct and that the internal process was underway. Colin then implied to Mygaming that the suspension was a “knee-jerk” reaction to a number of complaints the MSSA had made against SASCOC. And so ended the exciting day that was the 3rd of July. “Would it not have been prudent for you to have checked your facts before writing the article as published? To be clear we checked our facts and asked the MSSA for comment when the news was occurring. Also, as a media outlet we do not require permission to use the MSSA badge in an image while discussing the MSSA in a news article. Shortly after that response we noticed the MSSA had put out a new official response. 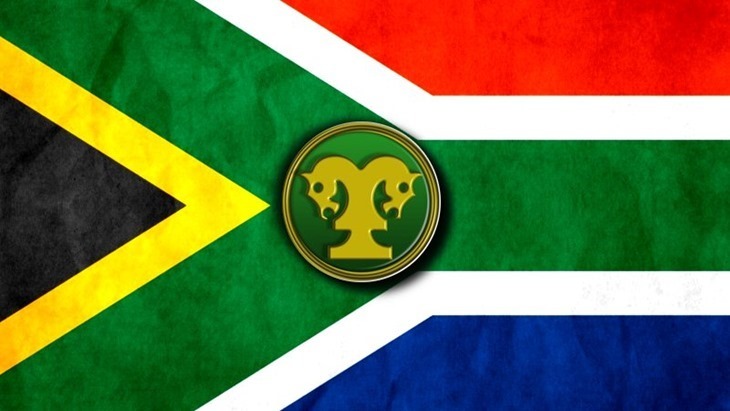 “It has come to the attention of Mind Sports South Africa that it has been alleged on a website that MSSA’s membership of the South African Sports Confederation and Olympic Committee (SASCOC) has been terminated. We wish to state that this is not true and that MSSA’s membership of SASCOC has never been terminated. Our recent correspondence with SASCOC confirms this position. The MSSA’s new position is that it is simply a documentation error. We have since corresponded with SASCOC again and they have once again confirmed that the MSSA is currently suspended as an affiliate of SASCOC. This is the fourth time this has been confirmed to us by SASCOC, so we really have to take them at their word now. If the MSSA would like to clarify what documentation is under dispute it would go a long way to clearing the air with gamers and the clubs who the MSSA relies on to be an organisation within itself. Okay I lied about it being nothing but the facts, here are two quick personal opinions as we’re not robots here. Personally I am disappointed with MWEB for not demanding an answer as they are the primary sponsors of the MSSA and to protect their name they should be ensuring they aren’t getting mixed up in something that will sully it. I am also personally disappointed to see the new president of the MSSA, Simphiwe Maphumulo, not stepping forward and clarifying this but rather leaving it to the General Secretary who is picking and choosing which media outlets he will give information to. According to repeated confirmations from SASCOC, the MSSA is currently suspended from the organisation until due process has been completed. This is what we are taking as fact until SASCOC themselves confirms differently. This could mean they have simply failed to submit documents or accounts on time and will be reinstated in the very near future. This could also mean that SASCOC has a reason to terminate the affiliation and are currently following due process. As neither party is being transparent about the process we can do little but to sit and wait. It is worth noting that in the last few days SASCOC has updated their member database again and the MSSA is still not listed, it can however be found if you know the URL so they have only been removed from the listing page.